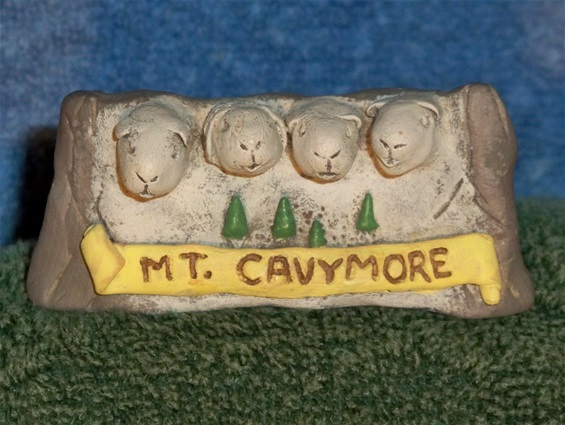 "We never met a cavy we didn't love!" 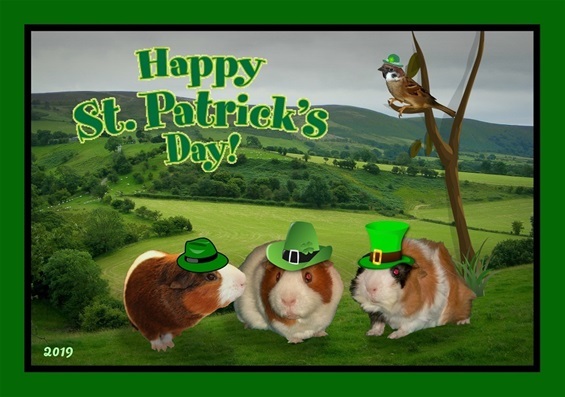 Guinea Pigs R Fun celebrates the fun of cavy ownership and encourages adopting GPs in need! 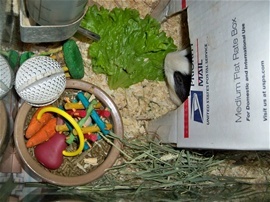 We are not breeders - almost all the GPs on this non-profit site were adopted from the Humane Society. We hope you'll sit back and smile while surfing through our site's sweet GP photos, cool original GP sculptures and art work! Please See Our LINKS & HEALTHCARE Page for Important GP Nutritional Info re: High-Quality Food, Vitamin C, Treats, Critical Care Health Supplement, etc. See Important GP Healthcare Info Under the Fave Links List (on the same page)! 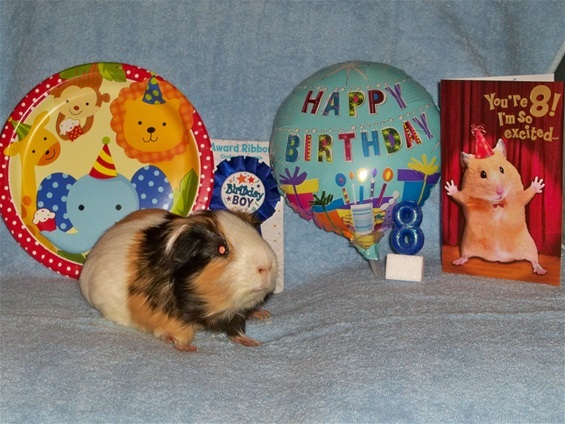 When we adopted precious "senior" Rupert the Great on Dec. 28, 2015, he was in danger of not being adopted (because of his age and 6 weeks at the shelter). 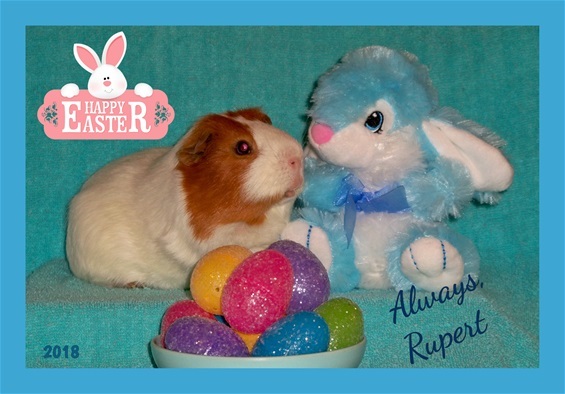 Rupert is SO FUN & ADORABLE! Older shelter pets need homes, too! 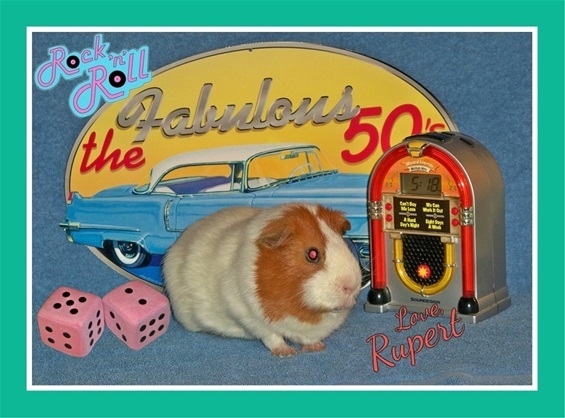 Rupert was "Pet of the Day" on October 2, 2017! We adopted The Amazing Schubert (adult male) from the Humane Society in March 2018. 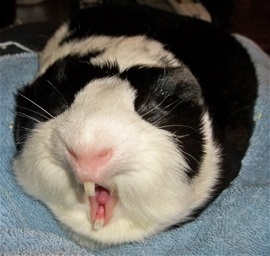 (BTW, March is "Adopt a Guinea Pig Month"!) Schubert was too thin when we adopted him but now he is a healthy, hearty, happy boy! 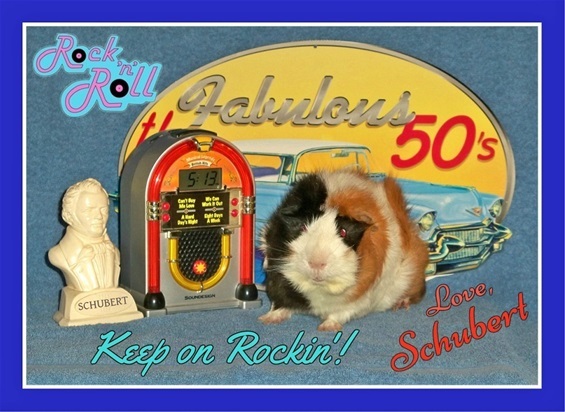 To see more photos of adorable Schubert, click HERE. 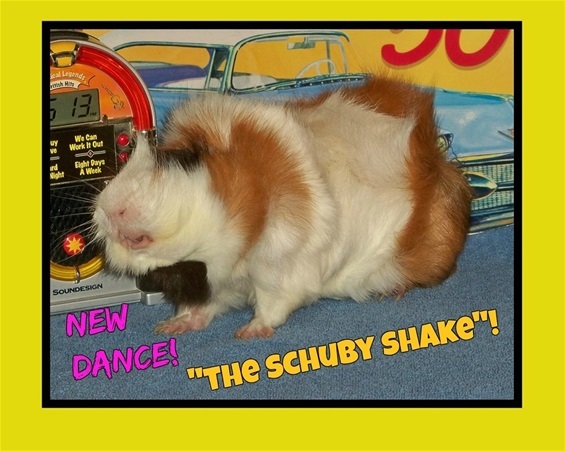 Schubert was "Pet of the Day" on July 2, 2018! 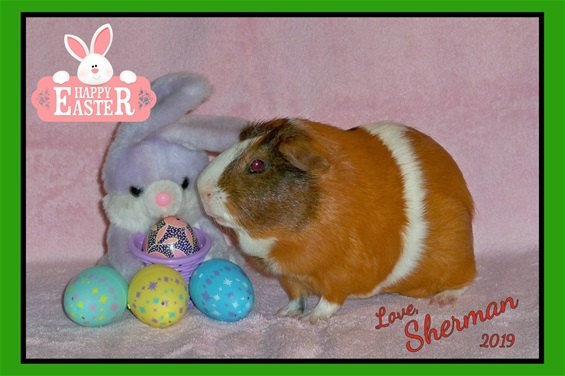 We adopted precious adult Sherman on Nov. 25, 2018 from the Humane Society so this is Shermy's 1st Easter with us! He has been enjoying excellent nutrition and Vit. C and has gained over 7 oz. since we adopted him! Sherman the Champ is a great addition to our family! 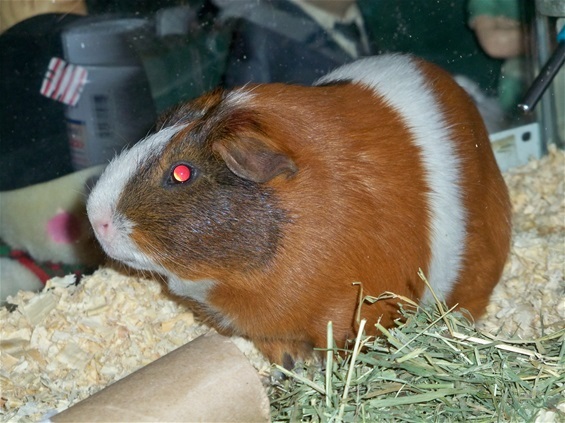 To see more photos of our adorable, newest adoptee, click HERE. 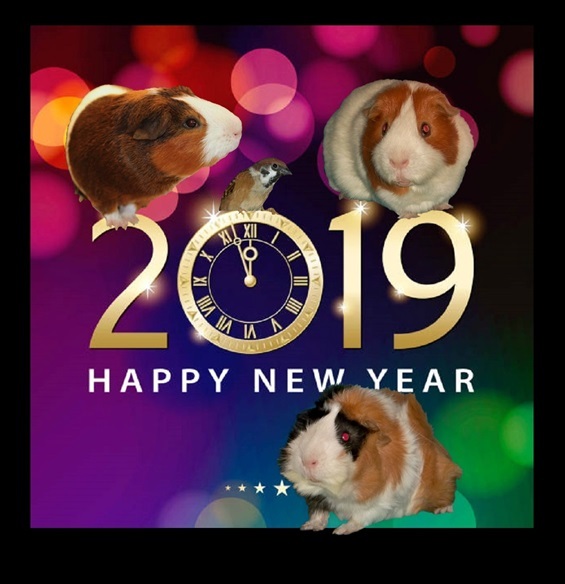 Sherman was "Pet of the Day" on Feb. 14, 2019! 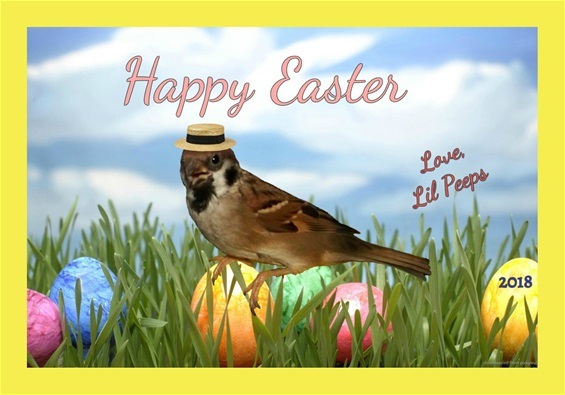 Lil Peeps is our absolutely precious almost 8-year-old Eurasian Tree Sparrow! Click HERE to read his amazing rescue/survival story! LP was "Pet of the Day" on Nov. 9, 2013! 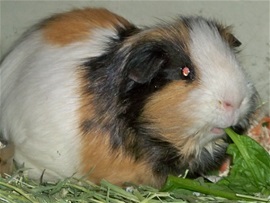 Precious "senior" Rupert the Great was in danger of not being adopted (because of his age and 6 weeks at the shelter). He is FUN & ADORABLE! Older shelter pets need homes, too! Rupert was "Pet of the Day" on October 2, 2017! 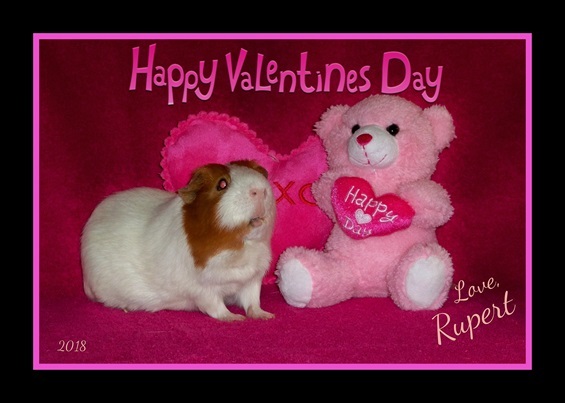 Click HERE to see more photos of our darling Rupert the Great! 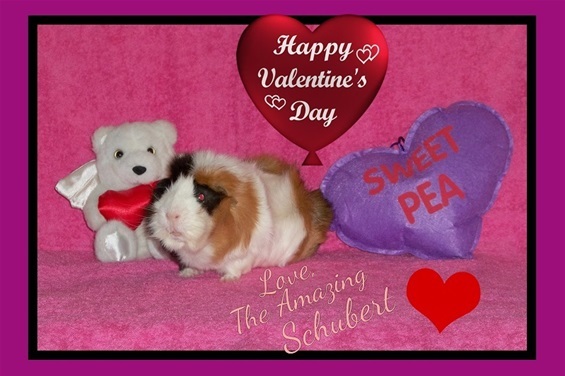 This is The Amazing Schubert's 1st Valentine's Day with us! We adopted adult Schubert from the Humane Society in March 2018. 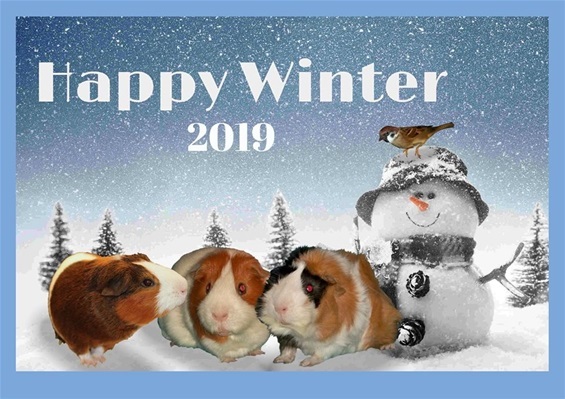 (BTW, March is "Adopt a Guinea Pig Month"!) Schubert was too thin when we adopted him but now he is a healthy, hearty, happy boy! 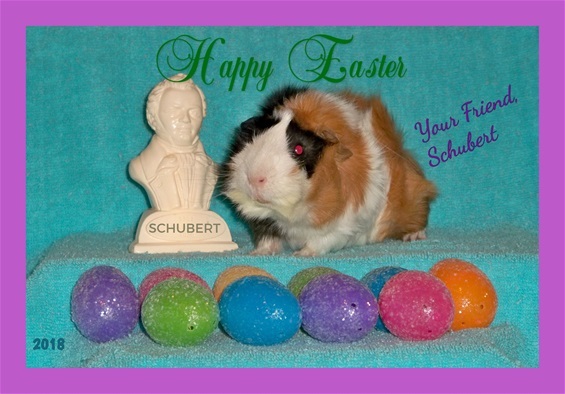 To see more photos of The Amazing Schubert, click HERE. We adopted precious adult Sherman on Nov. 25, 2018 from the Humane Society so this is Shermy's 1st Valentine's Day with us! 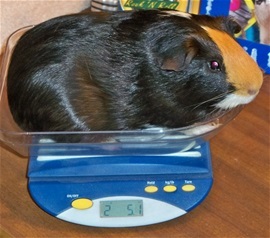 He has been enjoying excellent nutrition and Vit. C and has gained 7 oz. since we adopted him! Sherman the Champ is a great addition to our family! 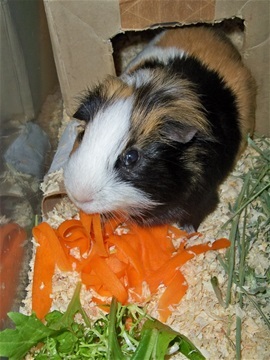 To see more photos of our adorable, newest adoptee, click HERE. 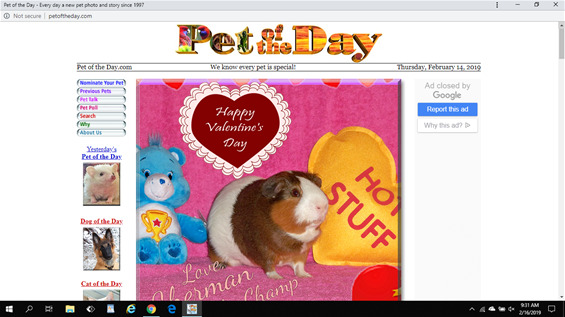 Our precious Sherman was "Pet of the Day" on Valentine's Day 2019! YAY, Shermy! He has come a long way since being unwanted and dumped at the Humane Society last autumn! We our Shermy!! 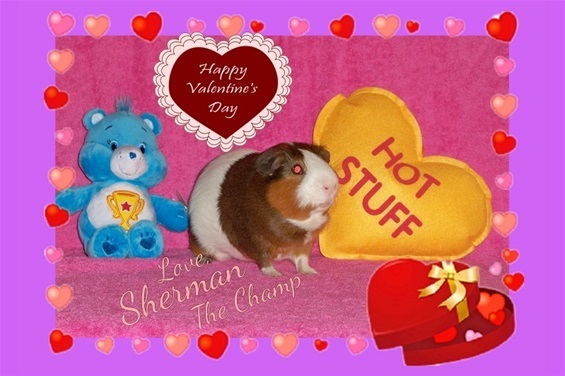 Click HERE to read Sherman the Champ's "Pet of the Day" Tribute/Honor! 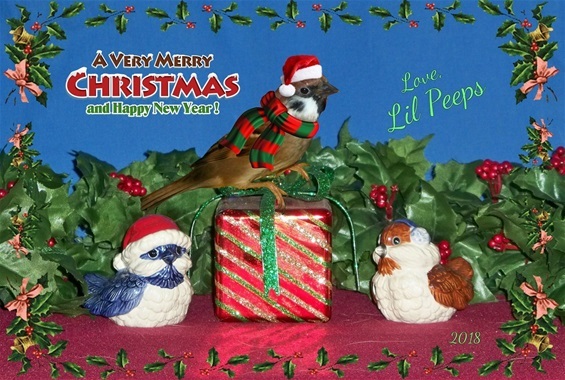 Lil Peeps is our absolutely precious, little, 7 1/2-year-old Eurasian Tree Sparrow! Click HERE to read his amazing rescue/survival story! 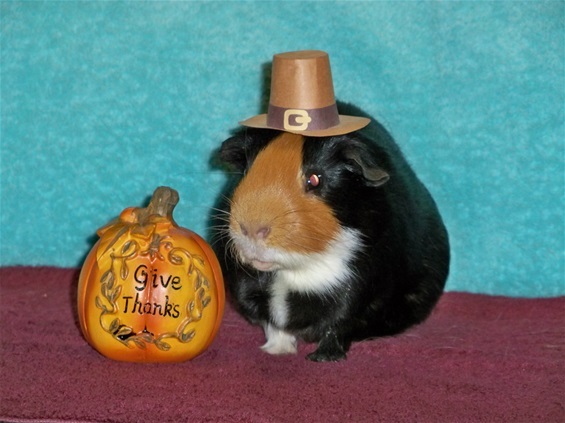 Lil Peeps was "Pet of the Day" on Nov. 9, 2013! 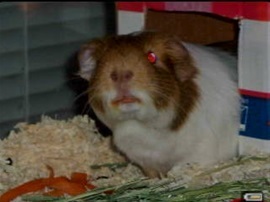 We adopted precious adult male Shermy (a.k.a. Sherman) on Nov. 25, 2018 from the Humane Society! 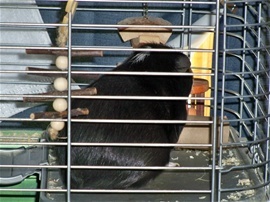 He was passed over there for weeks while younger GPs were adopted. He was adopted once and returned 2 weeks later (heartbreaking). It's obvious he was waiting for us! Shermy is adorable, sweet ... and perfect! Click here to see more photos of our Heaven-sent boy! 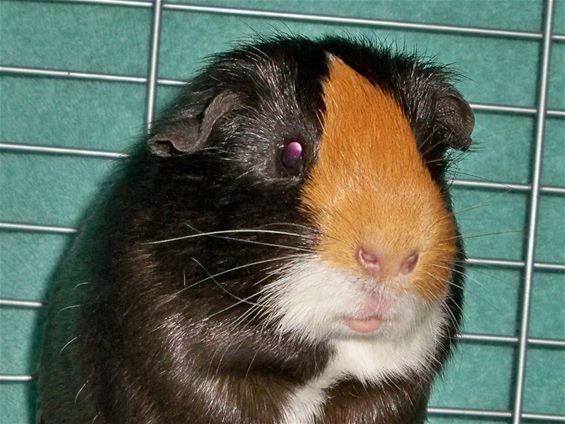 Rupert the Great: Adopted on Dec. 28, 2015 from the Humane Society! Precious "senior" Rupert was in danger of not being adopted (because of his age and 6 weeks at the shelter). He is FUN & ADORABLE! 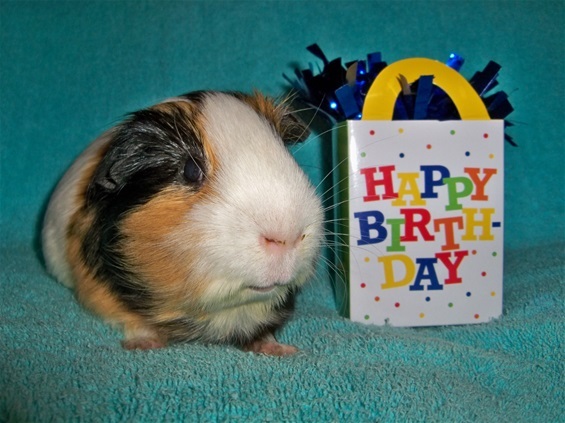 Older shelter pets need homes, too! 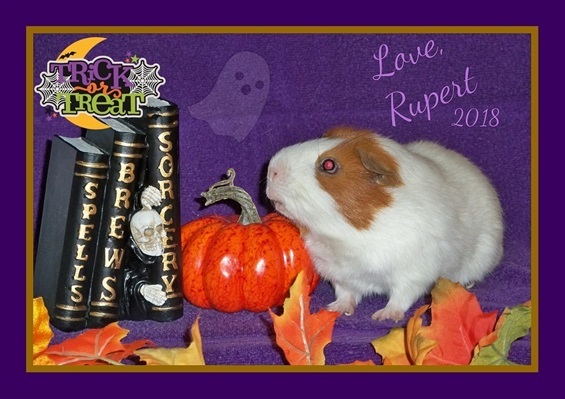 Rupert was "Pet of the Day" on October 2, 2017! 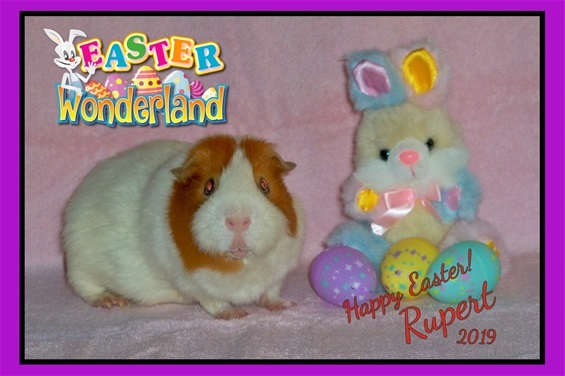 Click HERE to see more photos of Rupert the Great! The Amazing Schubert: Adopted from the Humane Society in March, 2018! 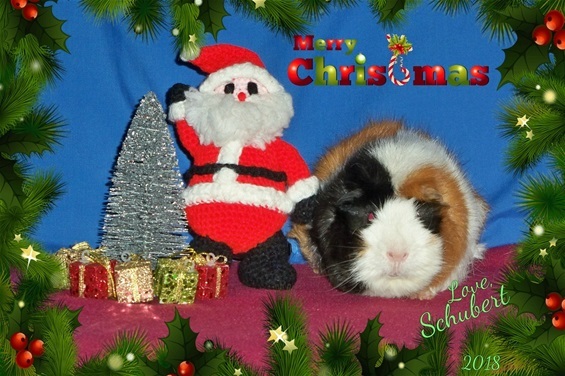 This is The Amazing Schubert's 1st Christmas with us! We adopted adult Schubert from the Humane Society in March 2018. 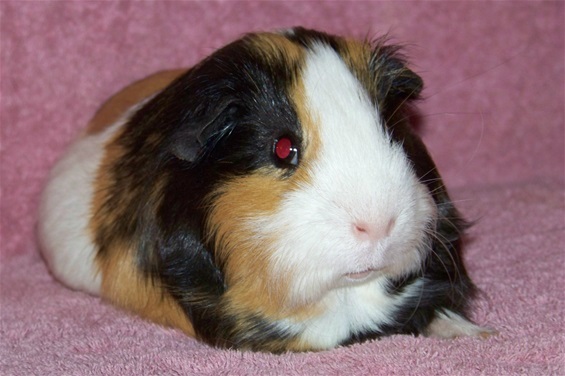 (BTW, March is "Adopt a Guinea Pig Month"!) Schubert was too thin when we adopted him but now he is a healthy, hearty, happy boy! 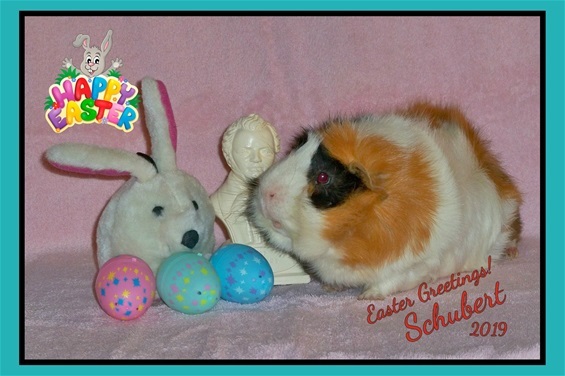 To see more photos of adorable Schubert, click HERE. 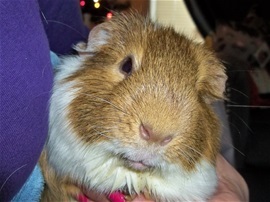 Schubert was "Pet of the Day" on July 2, 2018! Meet Sherman (Shermy): Just Adopted from the Humane Society on Nov. 25, 2018! 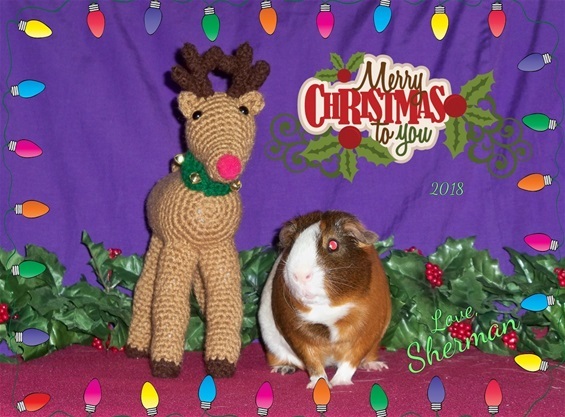 We adopted adult Sherman on Nov. 25, 2018 from the Humane Society so this is Shermy's 1st Christmas with us! 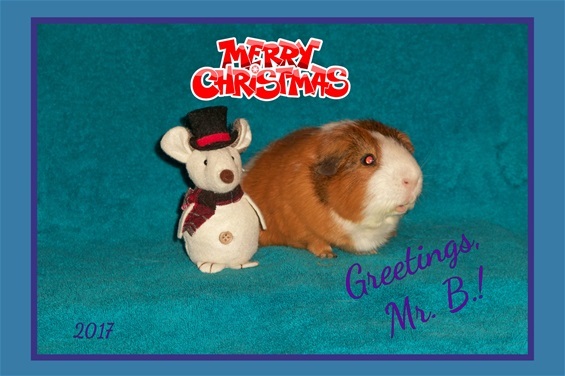 Shermy loves his new home and posed happily for his Christmas portrait! Shermy is precious and a great addition to our family! 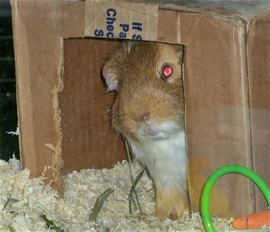 To see more photos of our adorable, newest adoptee, click HERE. 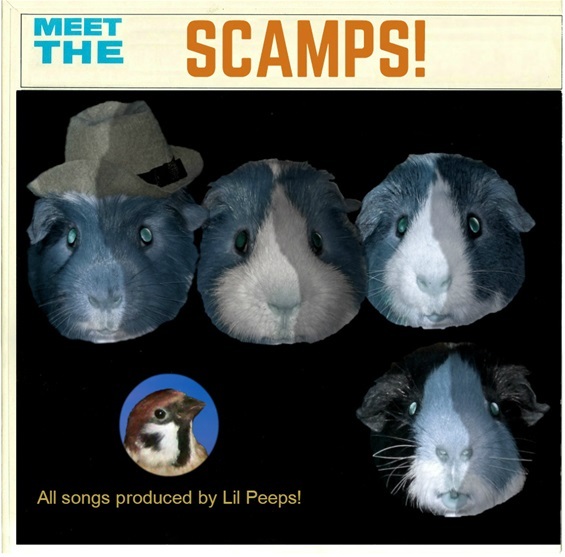 Meet Our Lil Peeps ~ Rescued in 2011! 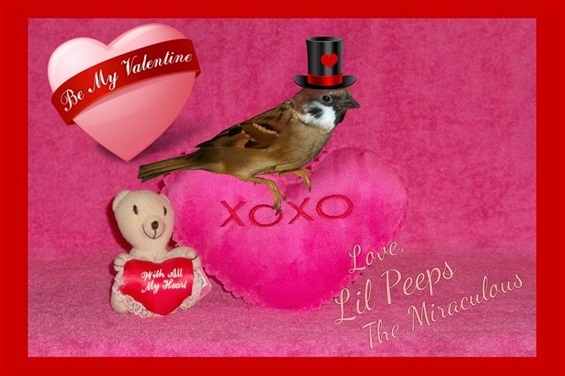 Lil Peeps is our absolutely precious 7 1/2-year-old Eurasian Tree Sparrow! Click HERE to read his amazing rescue/survival story! LP was "Pet of the Day" on Nov. 9, 2013! 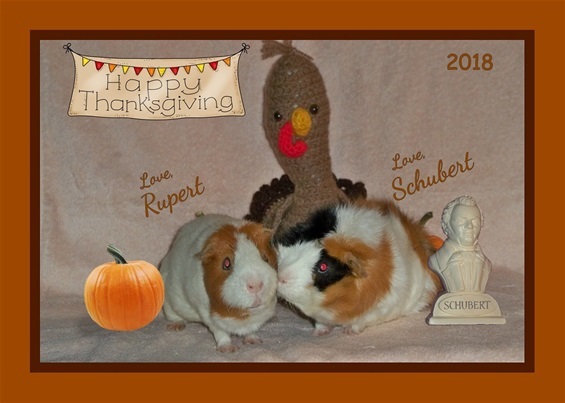 HAPPY THANKSGIVING from our Precious Boys, Rupert the Great and The Amazing Schubert (both adopted from the Humane Society). 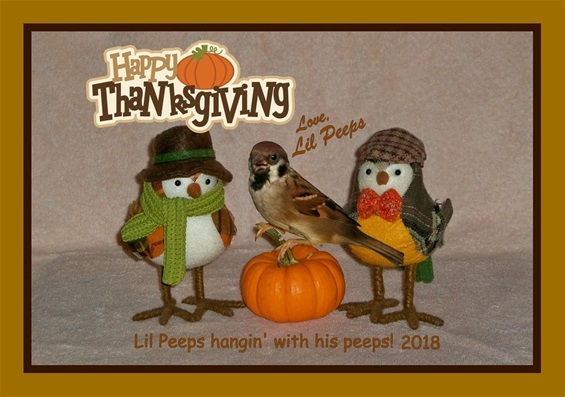 HAPPY THANKSGIVING from our Precious Lil Peeps (rescued Eurasian Tree Sparrow). 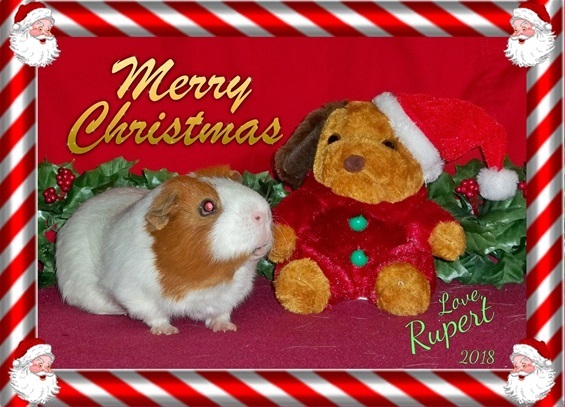 Rupert the Great is an old pro posing for fun holiday photos! Oh-oh, something creepy is peeking out of his collection of spooky books! 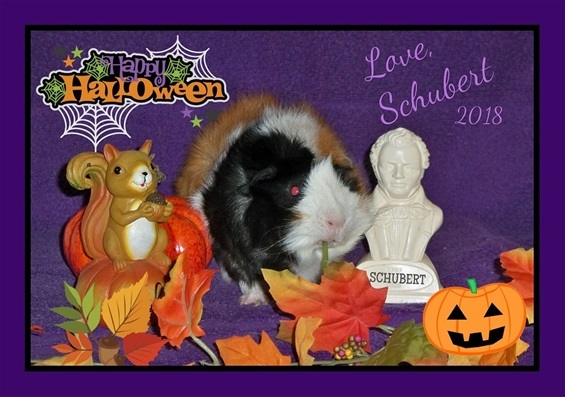 The Amazing Schubert was more interested in tasting everything around him than posing for his Halloween portrait! 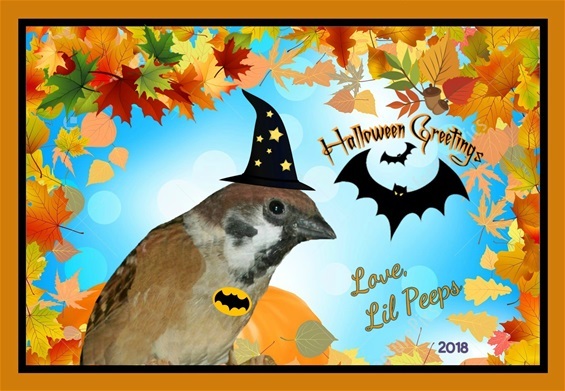 Our Sweet Rescued Lil Peeps says, "Happy Halloween! Please feed my outdoor bird cousins daily!" Everyone's doing it! It's fun! 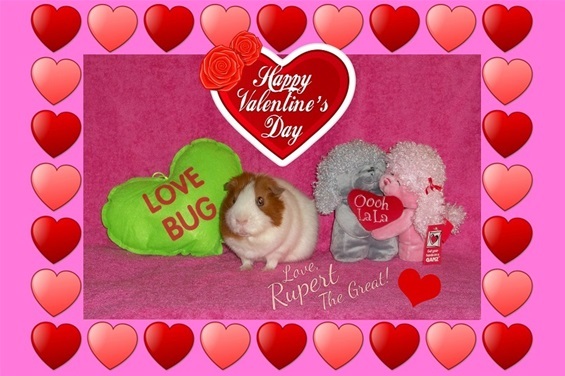 Sweet Rupert the Great! We adopted Rupert from the Humane Society in 2015! Schubert! Welcome to our family! 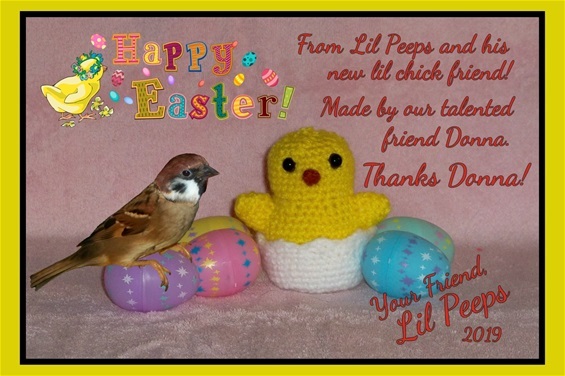 Our Heaven-sent rescue, Lil Peeps! Mr. Belvedere, King of Hearts! 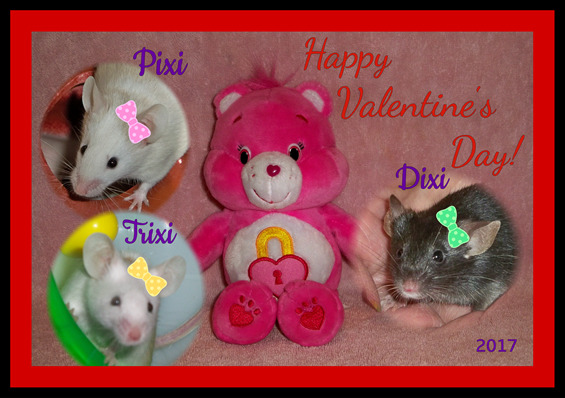 Adorable Siblings ~ Dixi, Trixi & Pixi! Mr. Belvedere: Adopted from the Humane Society on Dec. 12, 2015! On Dec. 12, 2015, we adopted this "senior" cutie from the Humane Society and named him Mr. Belvedere! Older shelter pets need loving forever homes as much as young pets! Belvedere was "Pet of the Day" on April 26, 2016! 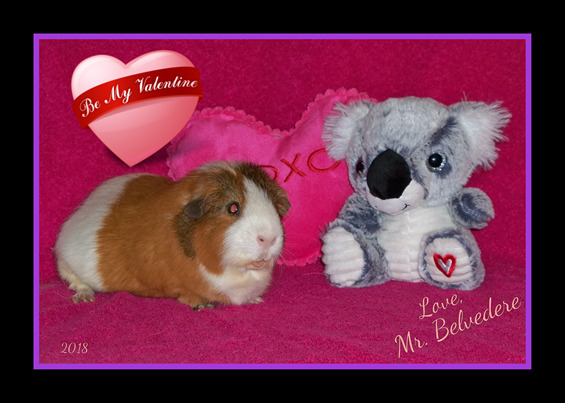 Click here for more photos of precious Mr. Belvedere! 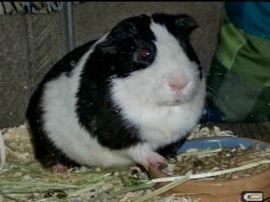 Good Ol' Freemont ~ Adopted in 2012! 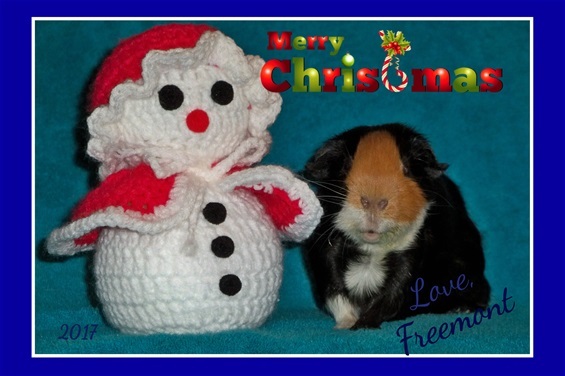 Merry Christmas from Sweet Freemont! 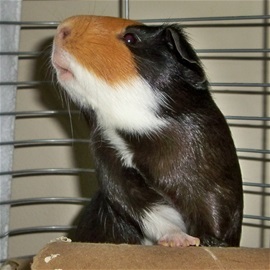 (Meet Freemont and read his story below!) 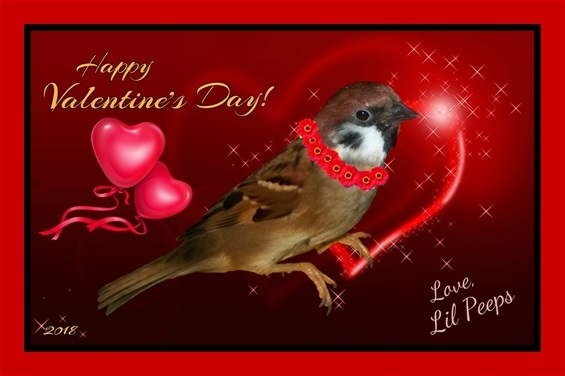 Freemont was "Pet of the Day" on Valentine's Day 2016! 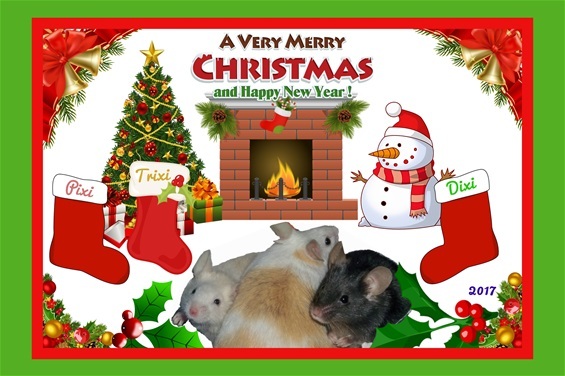 Merry Christmas from teeny sisters Dixi, Pixi & Trixi! They are so fun and sweet! 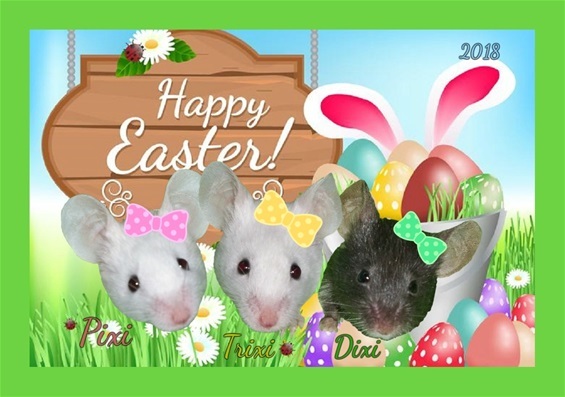 Click HERE for more cute photos of this trio of adorable mice siblings! 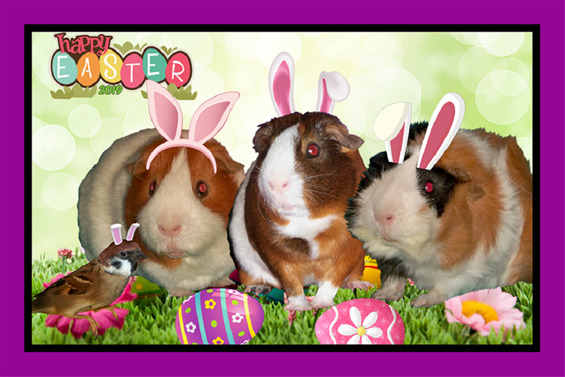 Valentine & Easter & 4th of July & Halloween & Thanksgiving & Christmas Portraits! Meet Norton ~ Adopted in 2014! This wonderful, fun, loving, handsome (and hearty) adult male (whom we named Norton) was adopted from the Humane Society on Nov. 24, 2014 and named "Pet of the Day" on Nov. 27, 2015! 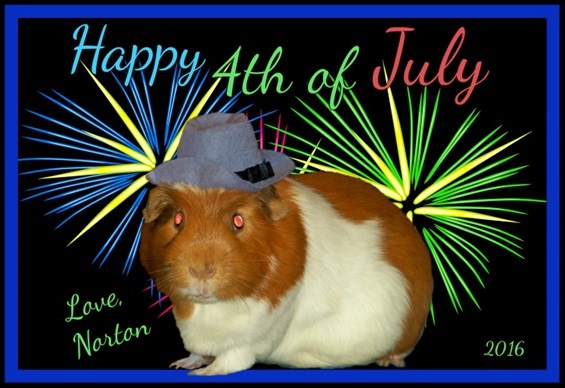 Click on Meet Norton! Meet Marty Mouse, Rescued in 2013! 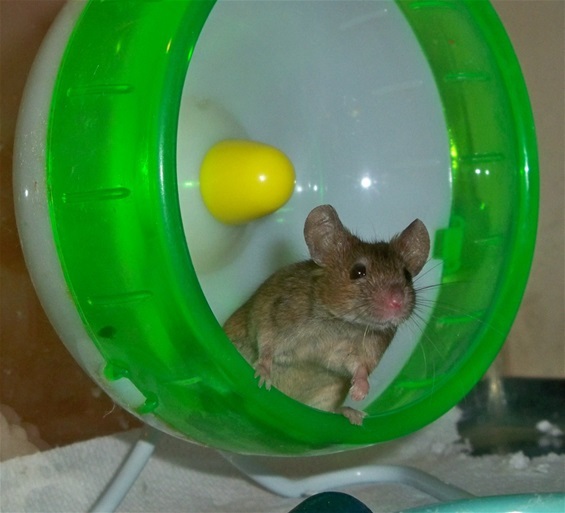 On Jan. 5, 2013, we rescued this precious little house mouse from an evil, inhumane glue trap at a local store. We named this adorable little boy MARTY MOUSE. He recovered from his injuries and was given a clean bill of health by our vet! 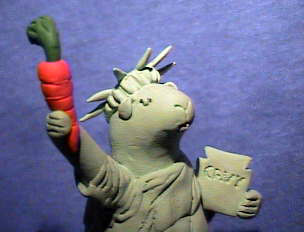 To see more fun photos of teeny Marty, click HERE. 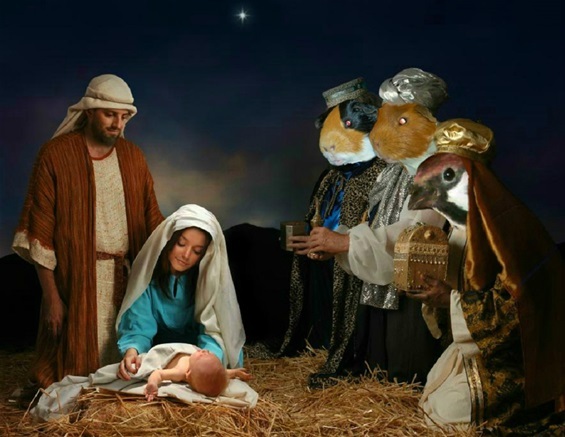 Check out more adorable, fun HOLIDAY Scamp Portraits taken through the years! Freemont loved to look out the window in the summertime and watch the hummingbirds and cars whiz by! 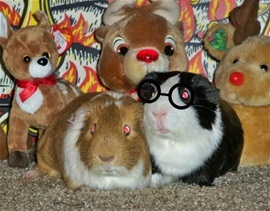 CHECK OUT our HOLIDAY PHOTO PAGE for Freemont's fun holiday portraits! Jeepers was our oldest GP - ever! Jeepers received messages and cards from friends! 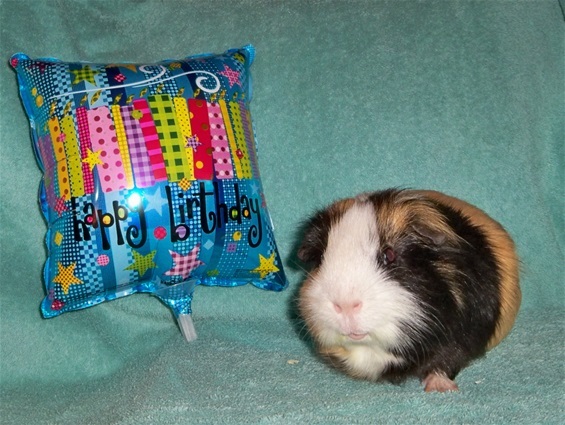 He had a 2nd birthday party 2 days later at his wonderful veterinarian's office (when he had his monthly incisor trimming)! A fave treat! 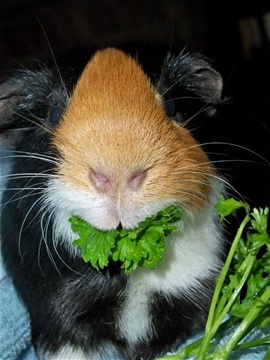 Jeepers happily enjoyed fresh spinach! 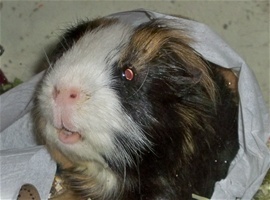 Jeepers loved playing with bathroom paper rolls - and making himself into a "mummy"; here, he is showing off his newly-trimmed incisors (he had almost monthly teeth trimming for well over 3 years). 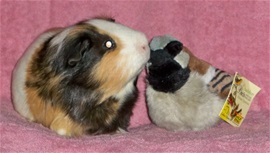 Jeepers kisses a plush sparrow! 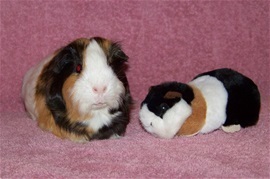 Meet Brothers Alvin & Simon! 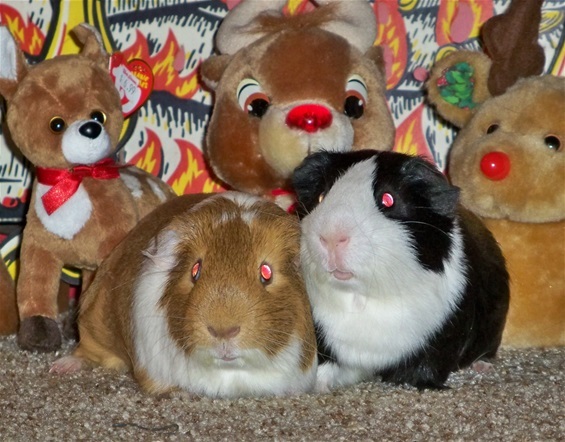 Simon & Alvin were the "Pets of the Day" on Christmas Eve 2013! Lap time was sleepy time for Simon! 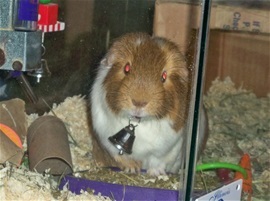 Alvin loved shaking this bell at us (to get our attention) when he wanted celery leaves! Christmas Morning 2013: After a treat and a back rub, Alvin looks relaxed, cozy and blissfully happy! 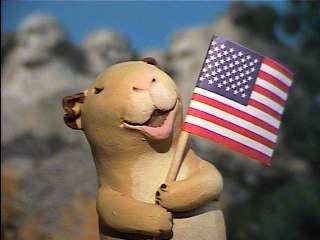 Simon wanted to look more like his famous singing chipmunk namesake!